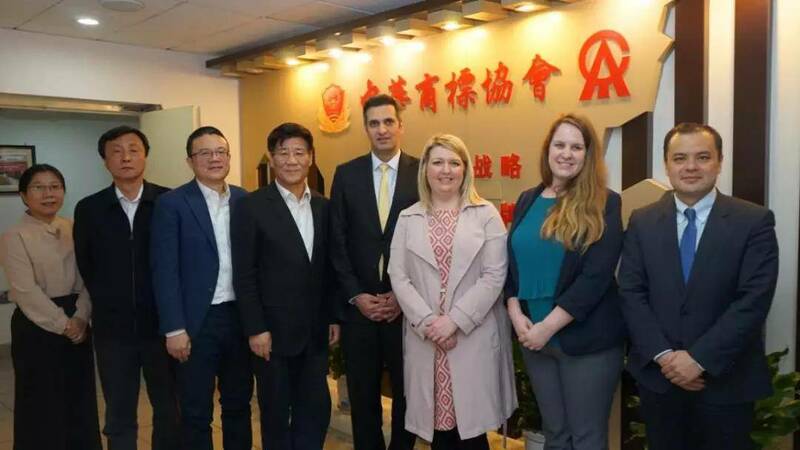 On March 27, 2019, accompanied by Christopher Shen (Senior Partner at NTD, NTD is Vice President unit of CTA), Mr. Ma Fu, president of China Trademark Association (CTA), met with Mr. Nishi Dholakia, counsellor of British Embassy. 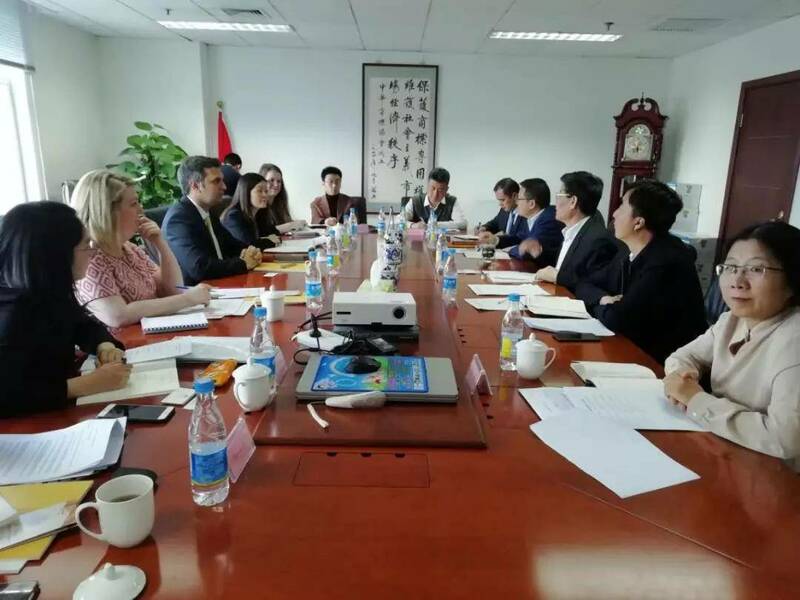 During the meeting, Mr. Ma mentioned that due to increasing development of trade between China and UK, , more and more enterprises and trademark agencies want to know more about the Chinese and British administrative and judicial systems in the field of trademark. CTA values the international exchanges, and the different forms of cooperative activities can be held to meet these needs. Mr. Nishi Dholakia said that the British Embassy and UK Intellectual Property Office (UKIPO) are willing to closely cooperate with CTA and build a bilateral communication mechanism. In the future, relevant activities will be co-organized to deepen mutual understanding on the trademark system and the utilization. Ms. Leanne Fortune, senior Eastern Asian policy advisor of UKIPO, and Ms. Shi Hui, senior IP official of British Embassy, introduced the trademark changes and arrangement after Brexit. Mr. Christopher Shenintroduced CTA’s work on the Fourth Amendments to China Trademark Law.